We are reappealing for help to trace a Staines man wanted on recall to prison. 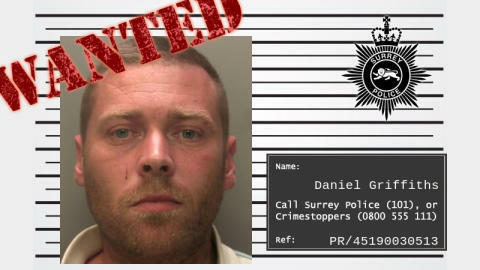 Daniel Griffiths is wanted on recall to prison for breaching the strict conditions of his licence. The 38-year-old has links to Staines. He’s described as white, 6ft tall, of a broad build with light brown hair and blue eyes. Daniel may also have short facial hair.